Massive Monster Mayhem is the ultimate action-packed, sci-fi action adventure game show starring the greatest Massive Monster Superstars in the universe versus three real kid heroes. 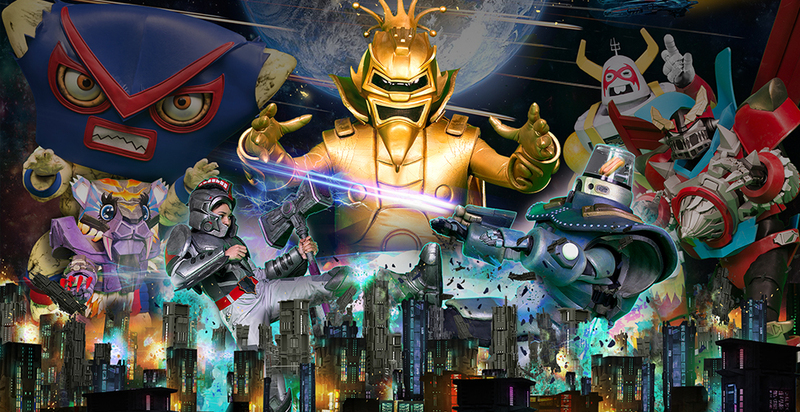 Each episode features Master Mayhem and his league of monsters as they battle to take over our planet. Three real kid Heroes step into the action and compete in three intergalactic elimination challenges (The Megalator, The Mega Duel, and The Monster Mashdown) for a chance to win awesome prizes, save the planet, and become Earth’s Champion. Throughout the action, each show features its own monster themed story arc, including scripted scenes and irreverent comedic shorts from the universe of Massive Monster Mayhem. The unique series combines cutting-edge, real-time CGI and pre-visualization technology to give the show a signature visual style.